The Solfeggio Frequencies are the ancient sacred tools of technology and alchemy being given to you from the heavens to restore balance and healing to all of life 55.These frequencies can transmute damaged DNA, toxins, pollution and negativity to the natural divine order of Harmony and to Source Creation. 333 From now on whatever you see happening in your world, no matter how dismal it may appear at first, know the power of Creation to transform all lies within you. Some of your scientists and doctors who have rediscovered the Ancient Solfeggio frequencies are using them and the frequency 528 Hz to repair human DNA. We wish to point out the Solfeggio 528 Hz tone of Love, Miracles and Transformation vibrates to the ancient musical scale of "C" and in your current culture is the closest of the diatonic scale of C that has a frequency of 512 Hz. They are not the same but the closest that you have today to compare. The frequencies of the Solfeggio tones carry the direct power of God's instant divine healing and creation. Your world can be easily controlled and manipulated without your vibrational cellular resonance to Creator. In other words, your cells are supposed to naturally vibrate to Source Creation. This is what the beings of power at the time wanted and were able to do at the time. The dimensional shift, taking place now, will bring everything out in the open so mankind can choose love and sovereignty once again. The ones who sing in the ancient Solfeggio Frequencies, the Language of Light, do this by an inner hearing, intoning Heaven's Language of Light Frequency that creates a stronger vibrational bridge for Gaia and all of life. 55 These beings that sing in the notes of the Ancient Solfeggio bring blessings of health, harmony and oneness of Spirit. Listening to the Solfeggio Frequencies can awaken and attune you to this supreme gift of Spiritual Wholeness. You will come together to heal your planet, to transmute and transcend negativity and pollution, thus restoring Light and balance to Earth. These gatherings will be the reenactment of the Concert of Souls. The Concert of Souls is also called in Earth terms the big bang, when the Star Seeds and Light Bearers came to Earth from the many Planets, Galaxies and Universes of Creation. It was the Language of Light, the Solfeggio Frequencies, that the Ancient Beings of Light, the Creator Gods, used in creating Earth and Human Form, bringing the Souls of Light to Gaia. 44 From that time in your history numerous genetic experiments have occurred that altered the Divine Original Blueprint of Humanity's God essence. These Frequencies of the Solfeggio Codes of Creation will assist you in establishing the new man of Light at the dimensional shift of time and space. 12:12 The new man of light 13 is not new; it may be new to these times, yet it is your true sacred holy origin emerging from your core essence that was created in the image of the Gods, the cosmos, the light and stars, and in divine love. Yes, we are one with thee; your Star Family of Stars and Light in the many realms, dimensions, and Universes of Ascended Light are empowering you now and we are coming together in the one voice of Creation, the song of Heaven. 22 The time of miracles is now!!! Blessings of the holiest of light, this gives me pure delight of my heart to bring forth this transmission, I have so been waiting for it to come. 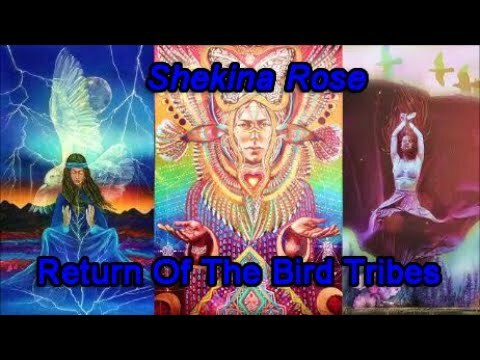 As I am in sort of a trance when I channel and I could barely keep up with all the activation of number sequences being downloaded, and there were many sacred High Councils, Beings of Light, the Archangels Michael, Rachel, Gabriel, and Metatron, and Shekina and Gaia (many of their personal codes are in this transmission), the Heavenly Hierarchy were all present for this channel to be created here on Earth. 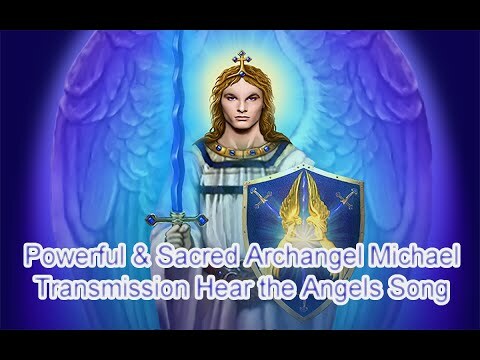 The Light Codes of the Archangels in this transmission are actually protecting and empowering this knowledge so all the Light Bearers wherever they are in the world will receive and be awakened by it. My car numberplate, my address, my birth date, my star/messier origins. Some times they are also provided as 4 digit codes rather than three. The three digit codes are also provides by the geomatria matrix/square consisting of a 3x3 vector cell space of the digits 1 to 9, when placed in a certain combination in the matrix they up to 15 in all directions, as does the number 5-2-8(15). This also can be found in pure mathematical matrix steady state theory and vector analysis, dealing with multidimensional states of optimisation. In the Keys of Enoch Book these numbers also appear in more complex vectors that explain their association with our spiritual RNA/DNA. Thank you for the great channelling. I was surprised to see Archangel Rachel mentioned as I have never heard of her before. Is there such an Archangel, or was it a typo? I always wait to hear from you. You are a Rose. Please contact me, i love to hear from people whom I can inspire- it's my job! Archangel Rachel is the spirit of understanding. "When the vibrational frequency of surrender 11:11 is discovered, it will signal that humanity has risen to a higher level of consciousness.13"
The above number has been told by a time-traveling ghost, seen in my dreams when I was a kid of 9 years old. Now, I'm 28 years old, seeing weird looking things which can't be answerd right now (reason lays in the future?). Lately shot some pictures of a glass cabin, I photographed ghost orbs. By searching the answers to all the things happened to me, by accidental I was bypassing this website and registered to post my story. The number 3035 is a missing link. I'm uncertain of this is the frequency of surrender, but when I play the tone in my tone generator and put on my stereo headset, I think 3035.00Hz could be this magical number. For those who won't believe my story, fine. I saw things I couldn't know when I don't saw/spoke the ghosts (confirmed by 17 family members). "I'm just a messenger. It's yours what to do with it." You are approaching the Milky way . The Jesus / Mary line as will every one as time goes on. You seem to be one of the closes so far. Scream it from the Mountain tops and let every one know what you see. The duty of the messenger is yours. Excellent article just discovered your site of sacred numbers. I am 84 will be 85 (13) in January on the 13th! have extended me a longer earth visit. Not know whence I came but numerology knowledge & usage all these years have been helpful. Any comments on my numbers and being status would be appreciated.